If you are anything like me when it comes to losing earrings, then this post is right up your alley. While browsing in Tiger last Saturday, like I seem to do nearly every weekend, I came across this beauty. Yup, the solution to my problem – an earring holder. At just a mere €4, I am hoping that this incredibly useful item will allow me to keep a pair of earrings a pair. 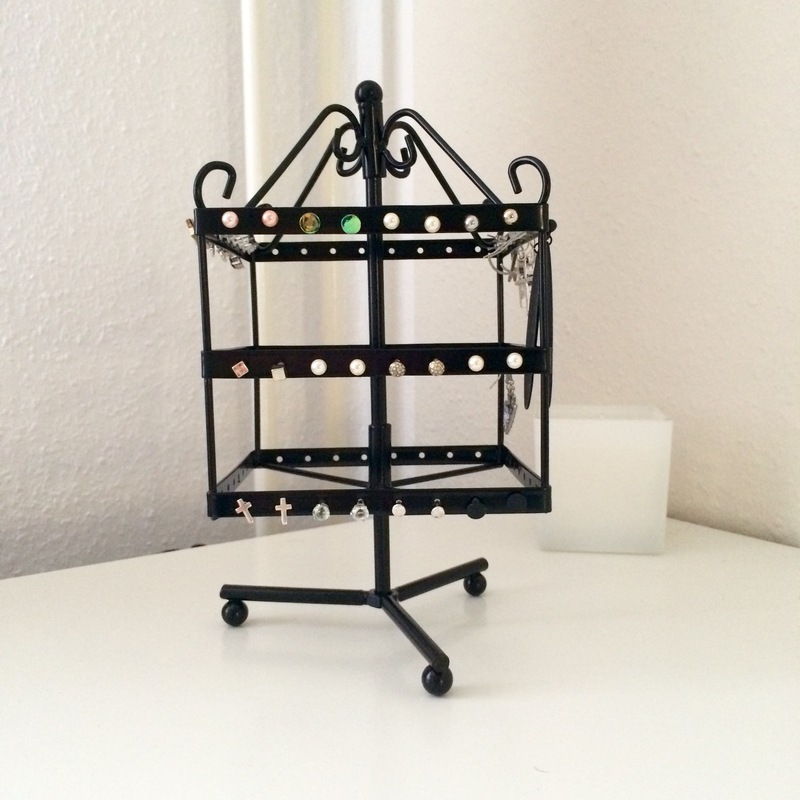 The holder is equipped to store approximately 50 pairs of earrings. Perfectly displaying each pair, it also swivels around allowing you to easily see what you have. It is also very pretty and blends in beautifully on my desk. This is a serious bargain and really shouldn’t be missed. Also available is a holder equipped for necklaces as well as earrings. Perfect! What handy gadgets have you picked up recently?